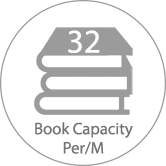 Have you checked our sale category? We have select sizes of shelves ready for quick dispatch. 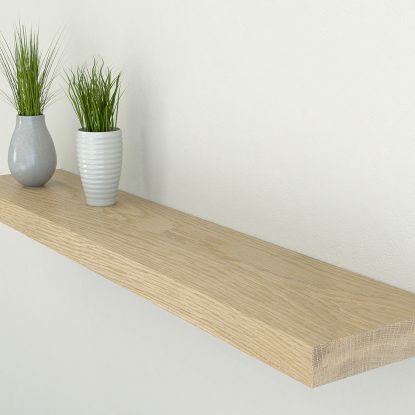 We cut our solid oak floating shelf range from wide American oak stock, which is selected for its seamless beauty. Planed square on all sides and finished by hand, all of our solid oak floating shelves are handmade to order. We hand paint the edge of the shelf in your chosen colour from the Farrow and Ball range, using a process that preserves the oak grain pattern in the finish. 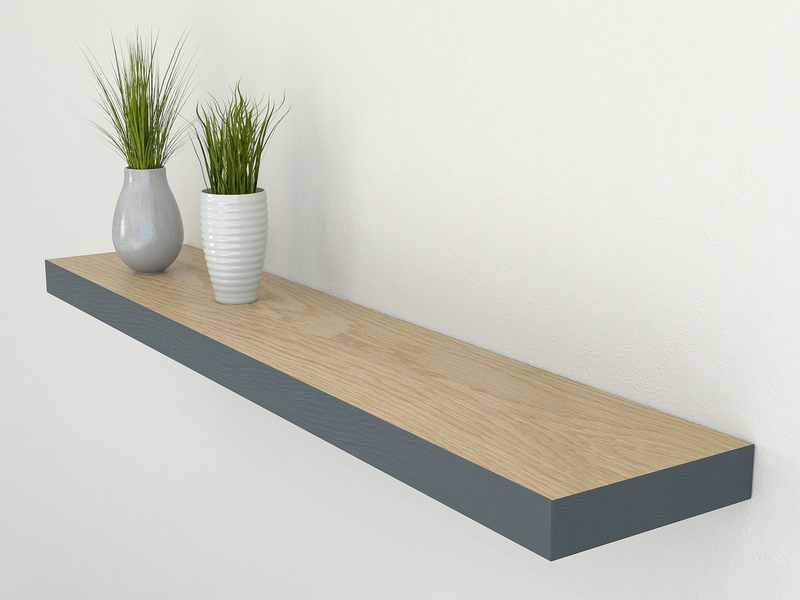 This makes our edge painted oak floating shelf range perfect for complementing an existing colour scheme or interior design project. The remainder of the shelf is finished in a subtle, satin wax oil to enhance the wood’s natural colour. Use them to display your favourite ornaments and keep your must have books close to hand. Even fill an alcove with them for masses of practical yet beautiful storage. 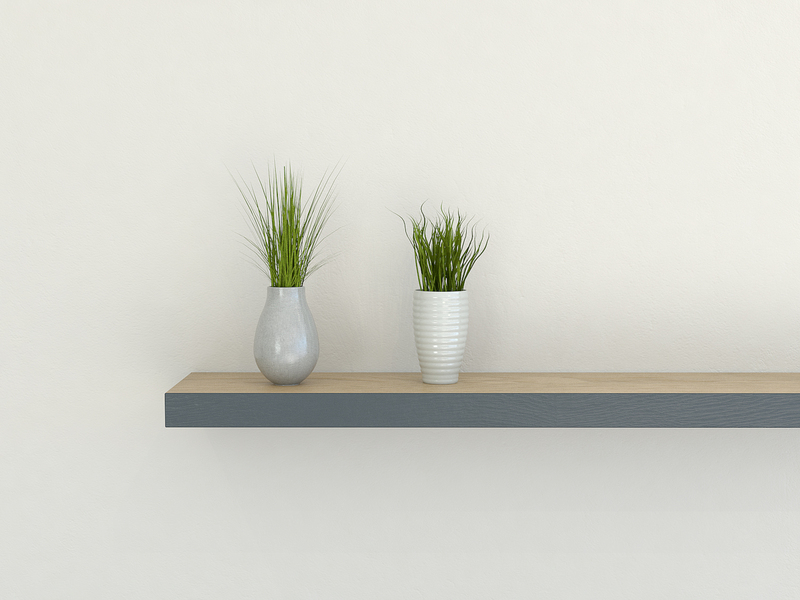 We make our floating wall shelves in a range of depths and cut them to your specified width, suitable for solid or plasterboard walls. 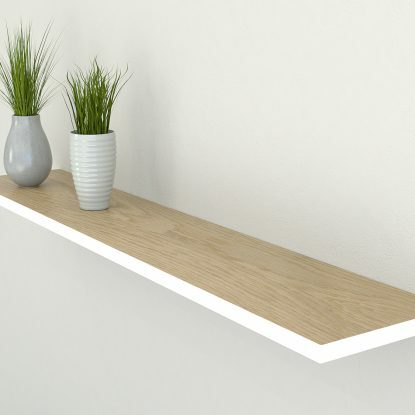 We produce this shelf in 44mm thick solid oak. (If you’d prefer one that’s thinner, take a look at our new slimline version.) 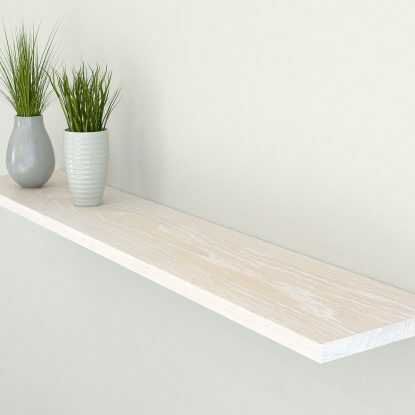 For each type of painted oak floating shelf detailed below we can provide widths from 20cm to 150cm. You can order larger sizes by request, but due to shipping restrictions we will supply them on a collection only basis. Please contact us for further information. To order, simply select your fixing type and shelf depth. 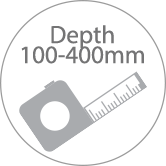 Then enter your measurements into the width box to calculate the shelf price. Add to your basket and we’ll do the rest. 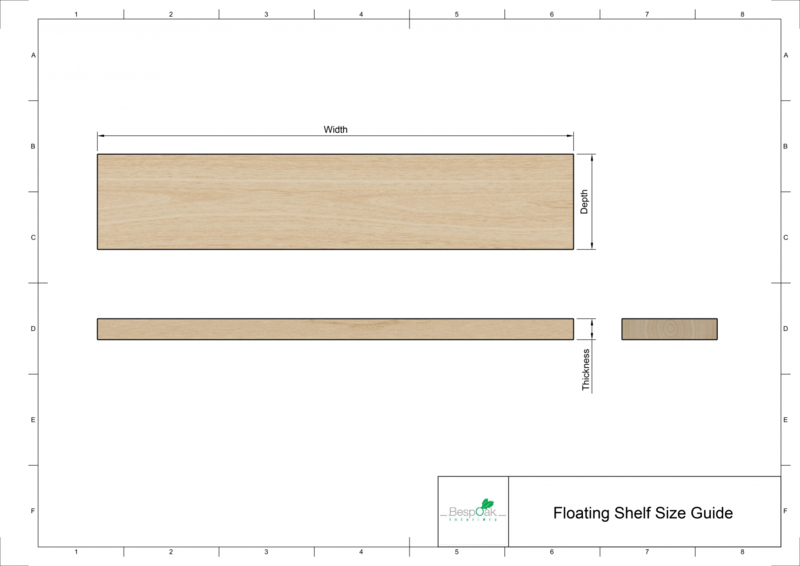 We cut your oak floating shelves to the exact size you specify. We pre-drill the mounting holes as appropriate and carefully finish the shelves by hand. 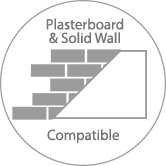 Our team then send your order out to you with all the necessary fixings for simple home installation. 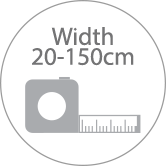 Depths from 100mm up to 400mm are available with our solid wall shelves. 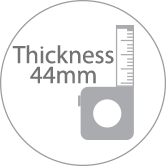 We supply shelves 300mm deep and above with our heavy duty floating shelf brackets. 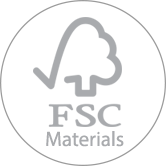 Our standard floating shelf brackets are supplied with the depths up to 250mm. All shelves are pre drilled and fixings are supplied. 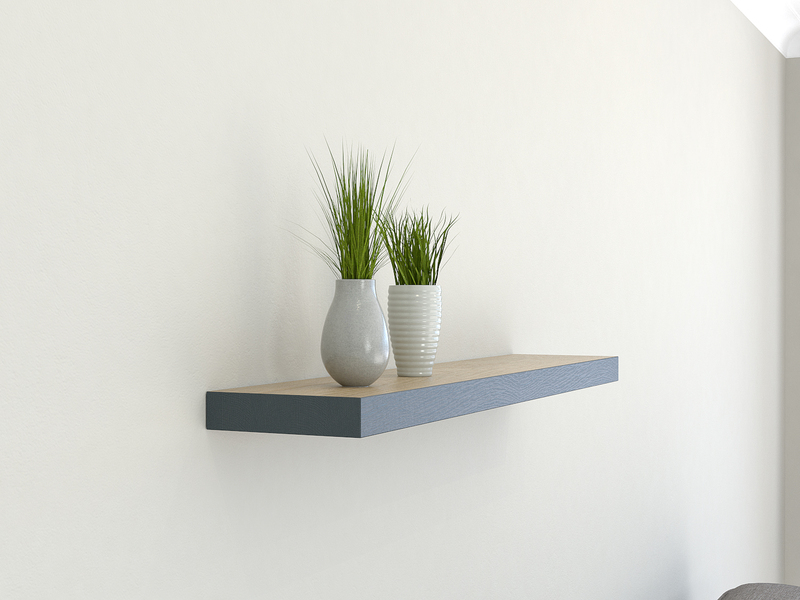 Due to the limitations of fixing solely to plasterboard walls, our plasterboard floating shelves are only available in a depth of 150mm. If you are looking to fit a larger depth of shelf on a plasterboard wall we recommend that your fixing points are aligned with stud work. Please contact us to discuss requesting this. 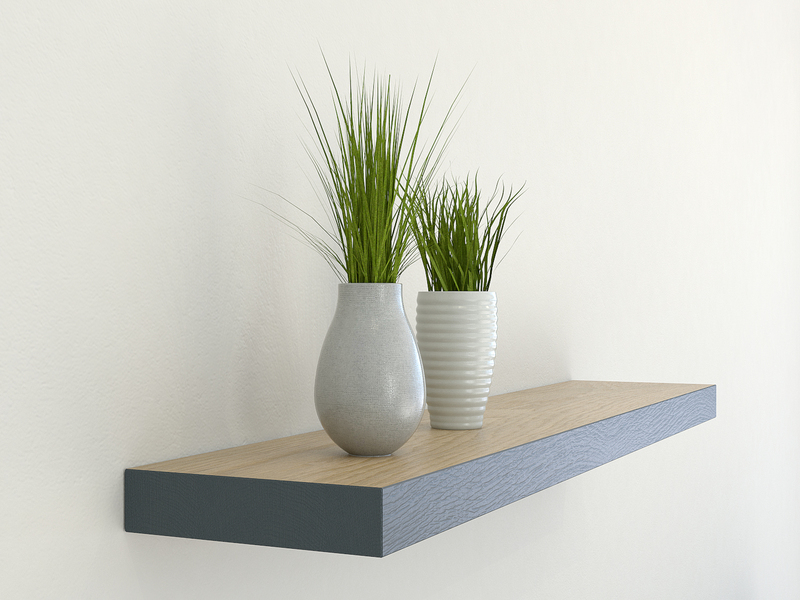 We also supply our floating shelves without fixings so you can use your own. 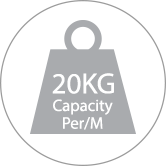 (Please note this means we will not pre-drill any holes or supply any fixings if you choose this option). Please also see the “Video” tab above for our handy visual guides on fitting our floating shelves.